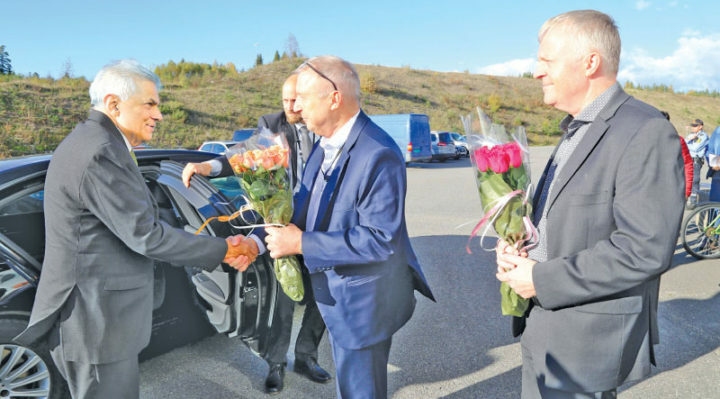 Sri Lankan Prime Minister Ranil Wickremesinghe and the Sri Lankan delegation that is currently engaged in an official tour in Norway, has engaged in an observational tour to the Norwegian Geotechnical Institute. It is a primary institution regarding construction in the world. The Prime Minister’s Office revealed the institute had already provided support to Sri Lanka regarding conservation of archaeological sites and informing of disasters such as landslides. The statement further noted the Prime Minister and the delegation engaged in an observational tour of the research laboratory of the institute.